During the week, I rarely eat breakfast at home. I grab something on my way out the door, usually a granola bar or a smoothie, and eat in the car on my way to work. 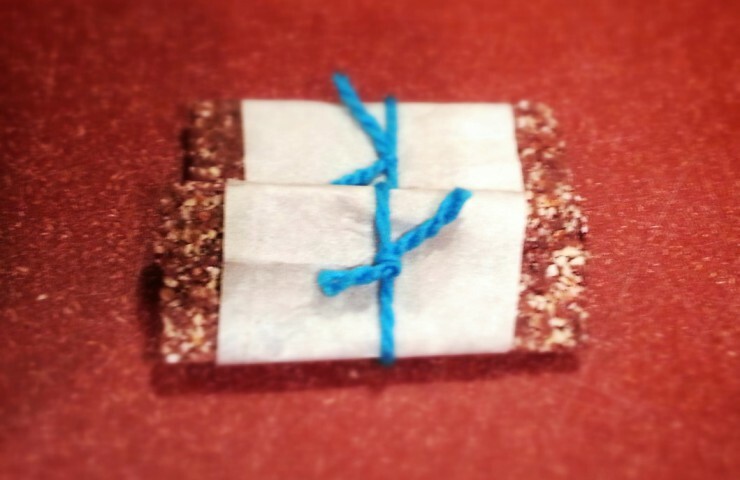 After buying granola bars for quite a while, I decided it was worth the effort to start making my own. Not only would I cut out unnecessary preservatives and control the ingredients, it was a great excuse to use my food processor (if you don’t know this already, it’s by far one of my favorite appliances). 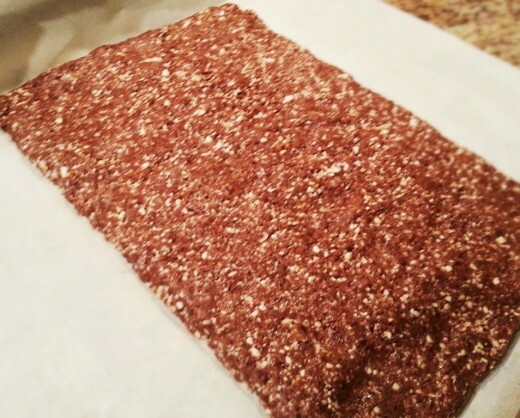 I tried Larabars before and really enjoyed them. Knowing they typically consist of 3 to 4 ingredients (dates, nuts, and sweetener), I figured it would be easy to create my own version. 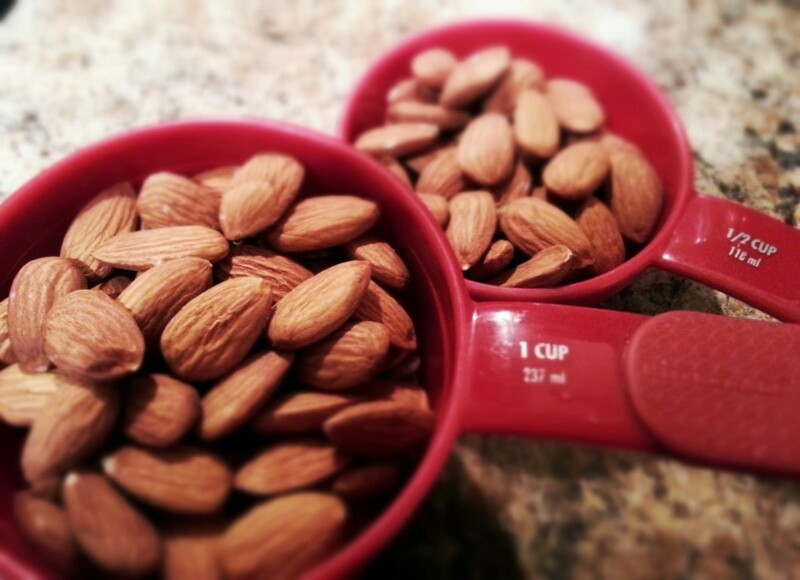 To begin, place 1 1/2 cups of whole, raw almonds in a food processor and pulse until crumbly. Add 2 cups of dates, 1 teaspoon of vanilla extract, 1/4 cup each of milk and white chocolate chips and 1 tablespoon of honey to the almonds. 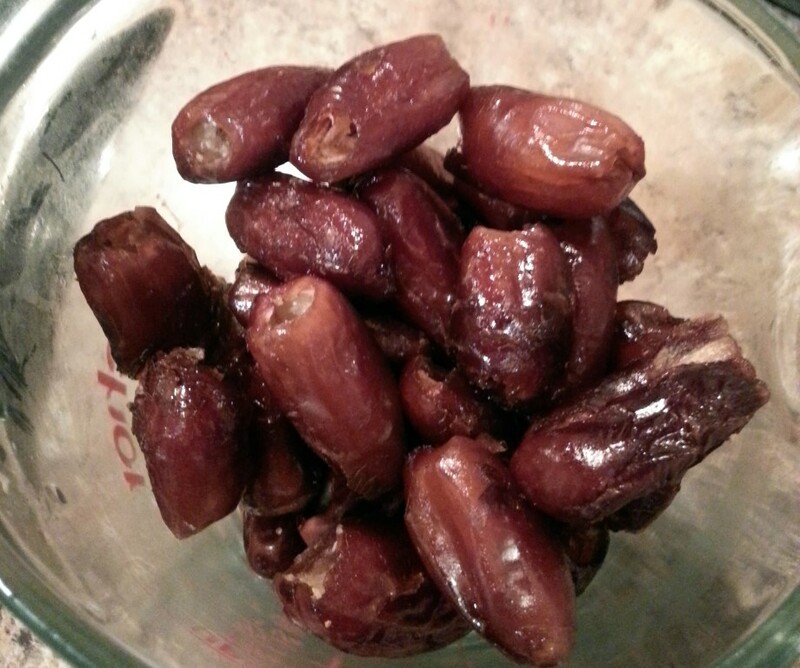 If you’re curious about what dates look like (as I was the first time I made these) here’s a picture. I buy pitted dates (I tend to like the Sunsweet brand), but you can definitely buy dates with pits and manually take them out. Process until combined and the mixture begins to stick together (about 1 minute). 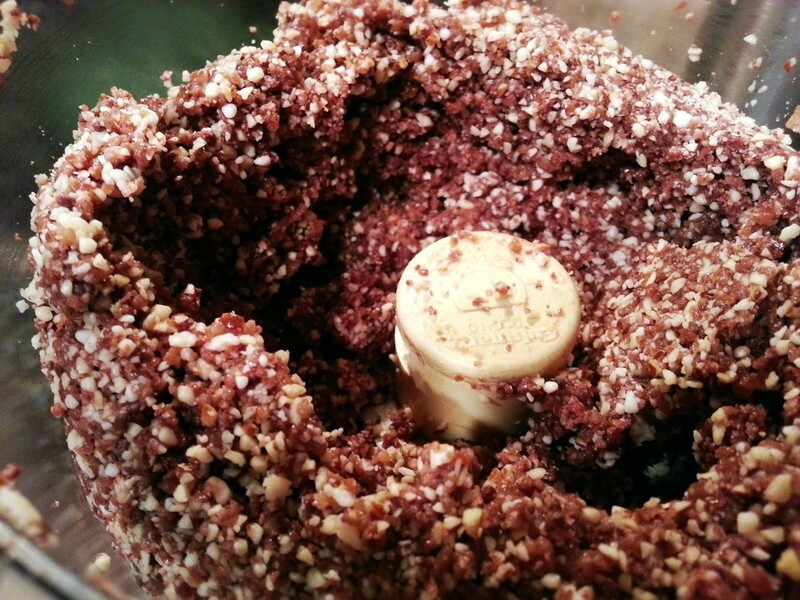 If the mixture feels too dry, add a little extra honey and process once more. Notice how the ingredients are sticking together? You’re aiming for a consistency like this. 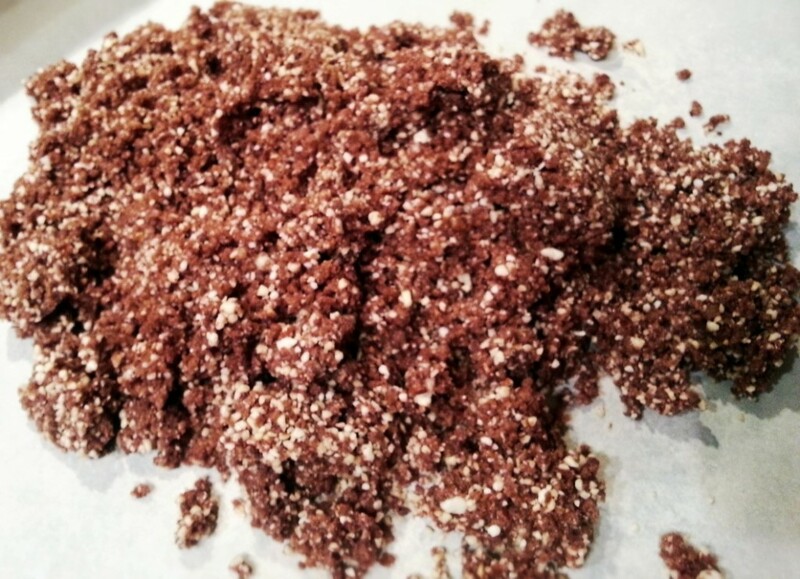 Carefully remove the blade from the food processor and pour the mixture onto a piece of parchment paper. Using your hands, form the mixture into a rectangle, about 1/4″ thick. Fold the sides of the parchment paper over the rectangle to help straighten the edges and flatten it out. Place in a sealed container and refrigerate for at least 2 to 3 hours (I typically leave them overnight). Cut into equal sized bars and individually wrap for a quick grab and go breakfast! 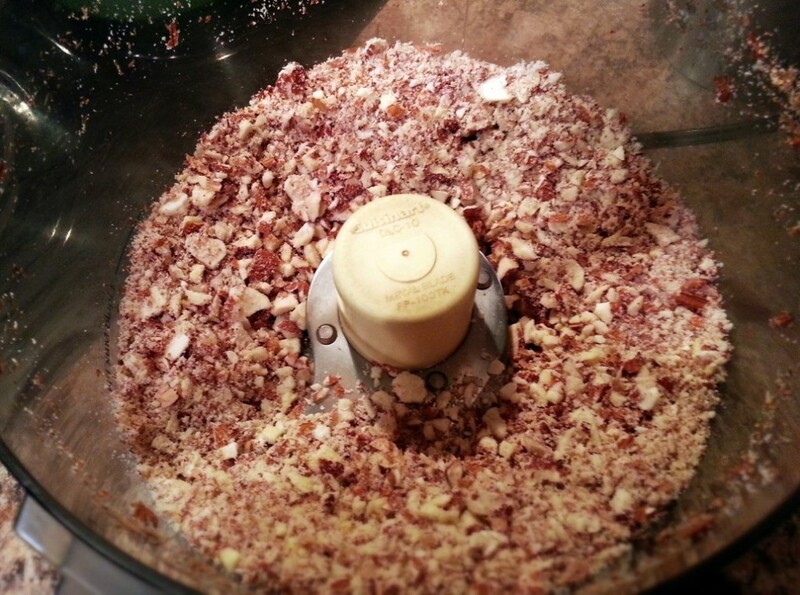 Place whole almonds in food processor and pulse until crumbly. Add the rest of the ingredients to the almonds and process until smooth and the mixture begins to stick together (about 1 minute). If the mixture feels too dry, add a little extra honey and process once more. Pour the mixture onto a piece of parchment paper. Using your hands, form the mixture into a rectangle, about 1/4" thick. Place in a sealed container and refrigerate for at least 2 to 3 hours (or overnight). 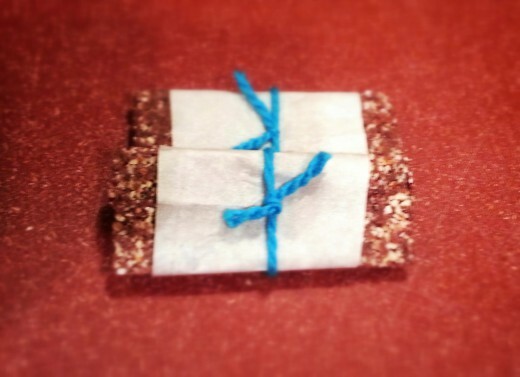 Cut into equal sized bars and individually wrap.